The use of plastic, whether it’s a bottle or packaging is a large part of everyday life in both our personal and business lives. Right now Greenpeace estimates that 12.7 million tonnes of plastic, which includes everything from plastic bottles, bags to microbeads, ends up in our oceans each year. 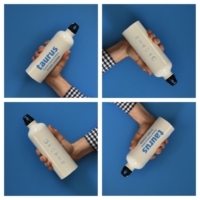 Taurus Clearer Communication are now taking action, encouraging staff to reduce their use of disposable plastics by investing in Stainless Steel re-fillable water bottles for all staff members. If you’re a customer of Taurus, why don’t you drop in for a chat and you can keep yourself hydrated with one of our bottles. This is just our first step towards helping the environment, with many more great ideas to be implemented over the next 2 years so watch this space!